"I wish that we stand together in the Nordic countries as the world has become strange", said one of 3,202 Nordic people interviewed in August and September about Nordic cooperation. The quote was highlighted in the presentation of a new Nordic survey to the public on Tuesday (31 October) in relation to the Nordic Council's yearly session. It showed that security and defence issues overall are the number one reason for people in the five Nordic countries to want cooperation. Overall 31 percent of the respondents pointed out security and defence as the most important issue for Nordic cooperation - while a similar study in 2008 instead showed that "fighting international crime" was the most important area for cooperation. A lot has happened in the world since then. Today Britain is about to leave the EU, China is ever-strengthening its global position and the United States increasingly focuses on US interests. Also the threat picture in Europe has become more complex, political polarisation is increasing and many people perceive the developments in Russia as worrying. The closer to Russia, the more interested people are in the Nordic security cooperation. Finland tops with 45 percent, followed by Sweden 30 percent and Norway 29 percent, while just 2 percent in Greenland find Nordic security cooperation important. 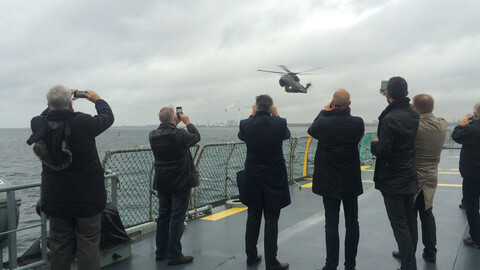 "We live in turbulent times so people want to seek comfort," explained Norway's new defence minister, Frank Bakke-Jensen at a press-conference in Helsinki on Tuesday. 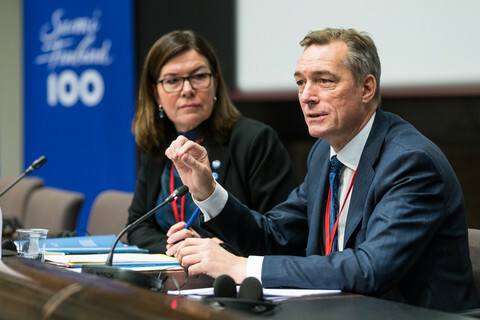 Education is the second most important area for Nordic cooperation, mentioned by 23 percent in the survey, health was mentioned by 21 percent while economy and finances ranked only fourth, mentioned by 19 percent. Relations to the European Union was a very low priority, mentioned by only 7 percent as an important area for the Nordic cooperation. Finland, Sweden and Denmark are members of the EU, while Iceland and Norway are not. Also security alliances differ, with Iceland, Norway and Denmark being members of Nato, while Sweden and Finland are non-allied countries. Regardless of the different international relations, the Nordic council has existed since 1952, with an assembly of national parliamentarians. 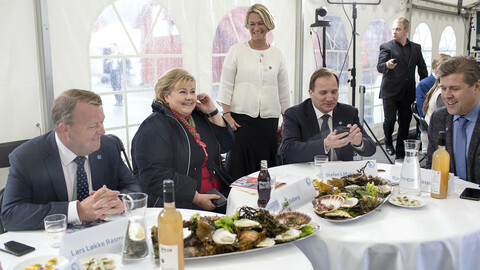 Ministers from the five countries meet in the format of the Nordic Council of Minsters. 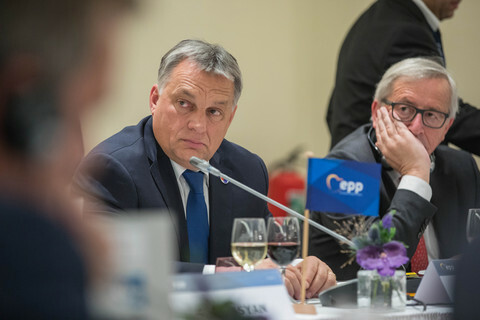 The presidency goes on rotation among the member states on a yearly basis. 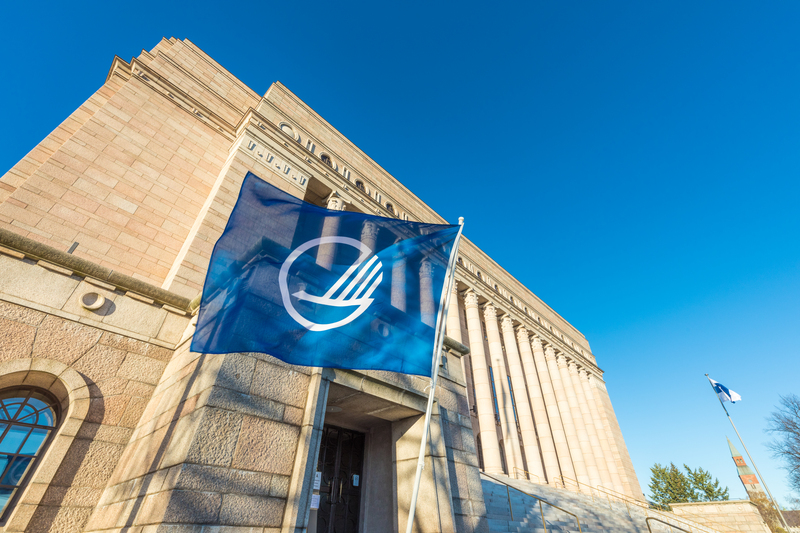 This week the annual parliamentarian session is held in Helsinki, with the Nordic politicians taking over all the seats in the Finnish parliament and voting on a list of proposals presented by the political parties in advance. The conservatives have tabled a couple of security related proposals for this year's session, such as cyber-defence and a proposal for Nordic defence, crisis and supply planning. A typical Nordic proposal will be just two pages long and end with a list of the MPs presenting it. 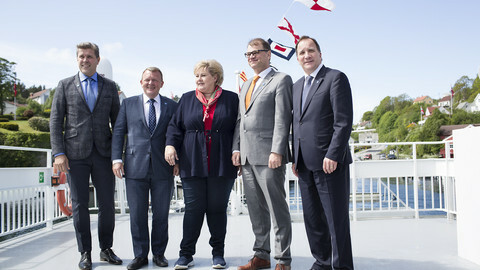 Prime ministers of the Baltic countries are also present and meet their Nordic counterparts for a Nordic-Baltic summit on Wednesday - allowing the leaders of Lativia, Lithuania and Estonia to get closer. 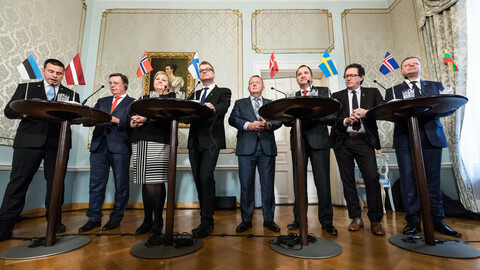 In contrast to the European Union, there are no supra-national powers behind the Nordic cooperation and each country is free to implement the Nordic decisions as they see fit. But somehow it seems to work. 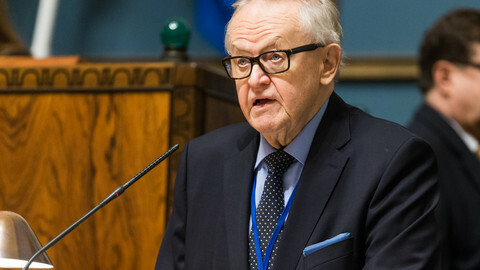 "We have legitimacy and have received a mandate to continue Nordic cooperation," said Bakke-Jensen. "The Nordic region has a relevance in Europe - in many ways we work well together - and this survey gives us a mandate to continue it," he said. Over 90 percent believe that Nordic cooperation is important, with 60 percent of them believing that it is very important, according to the survey. Only one percent of people think that Nordic cooperation is not at all important, the survey showed. "The strength of it is that we can reason together and agree on how each of us will decide. It's something completely different from when it comes from above and someone else decides how to do," said Britt Lundberg, Finnish MP from Aland and currently president of the Nordic Council. "I think, in fact, that a small reason why we have such strong legitimacy for Nordic cooperation is that we do not have any supra-nationality," she said. Thirty-four percent responded that the most important thing is sharing the same values, while 32 percent believe that what matters the most is that the social systems are similar in the Nordic area. Freedom of speech is perceived to be the most typical Nordic value (42 percent), followed by equal rights and value for all (36 percent), and open and democratic processes (30 percent). 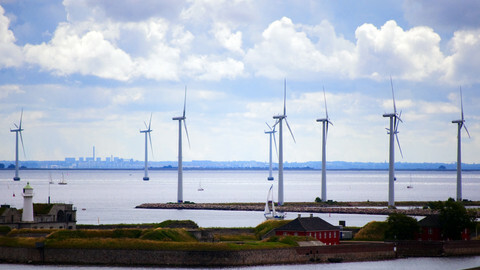 The study was commissioned by the Nordic Council of Ministers and the Nordic Council.